Faith Evans, who holds an MEd in Gifted Education, has worked with camp professionals for more than 45 years. 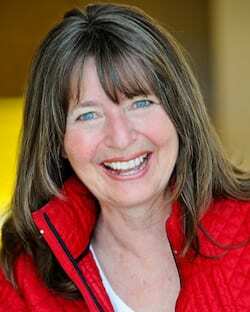 Faith applauds Plato, who said, &quot; You can learn more about a person in an hour of play than a lifetime of conversation.” She is a nationally acclaimed camp staff trainer, team builder, author, and speaker. Faith has received rave reviews for her interactive workshops that make action-learning fun and relevant. She is the CEO of PlayFully, Inc, and resides happily near Rocky Mountain National Park in Colorado. Faith specializes in experiential learning with small and large groups in the areas of relationship building, creativity, problem-solving, leadership, communication, and play for a purpose…or for no purpose! The American Camp Association twice honored Faith for her outstanding staff training and for excellence in writing for Camping Magazine. The Association for Experiential Education has also honored Faith for her innovative work with youth development professionals. Faith has written numerous book chapters and articles about play and teambuilding and is a long-standing member of ACA. Her newest book, “The More The Merrier—Games for Large Groups” has received high praise and “99 of the Best Experiential Games We Know,” which Faith co-authored, is a perennial best-seller.